The power of the Sun and its energy potential really is amazing. So amazing that it’s difficult to see just what it is about renewables that some people don’t get. Every second, the sun converts 4 million tons of hydrogen to energy and radiates it into space. A staggering 1.8 x 1017 joules of energy from the Sun hits the Earth every second. That’s 180,000,000,000,000,000 Watts. 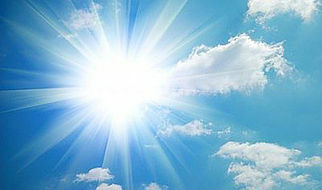 The energy hitting the earth from the sun each day is 28 times annual energy consumption for the whole world. Solar energy produces no pollution,has no environmental effects and is ecologically acceptable. It is not only the fastest energy source to deploy but it is also much cheaper than fossil fuels.Clearly, we have a source of virtually unlimited (the sun won't die out for another 5 billion years or so) clean energy in the form of solar power — we're just not capturing it.It is entirely possible to go solar without paying a single rupee down. Solar energy creates no immediate pollution - While burning oil releases harmful greenhouses gases, carcinogens and carbon dioxide into the air, solar runs clean converting sun light to usable energy minus the combustion and minus the smoke. Solar power is pretty much a quiet process - You can harness as much solar energy from the sun as you want and there is no resulting noise pollution. This is pretty rare in the world of "energy making" power sources like noisy gas powered generators. 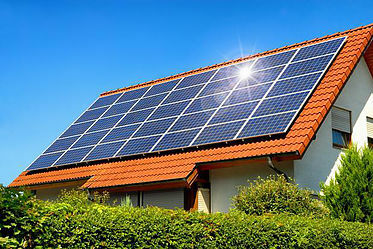 If you appreciate peace and calmness , you'll definitely agree that this is one of the best solar power advantages. 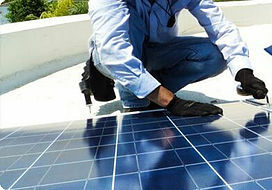 Minimum maintenance is needed with solar panels - Usually an occasional cleaning is all you'll have to do, with a more in-depth inspection every once a year. This is because solar panels don't really have any moving parts and therefore there is less friction, wear out or breakage to worry about. One of the nicer benefits of solar energy. Almost Free - This is definitely one of the advantages of solar power because, once you purchase and set up the solar equipment to collect and convert energy from the sun, it will run everyday and you won't have to pay over and over for your power. Although there is an initial investment involved, the payoff can be very worth it, when you eliminate your monthly utility bills long term. Solar power is also very flexible - You can have different solar arrays in different areas without having to run wiring from one to the other. For example: You can put one solar array on your roof to generate power for your home, and also have another smaller one near your garden to power backyard lights or anything else outside that typically needs less electricity. Technology of solar power generation is only advancing with time - Odds are, solar power will become even more affordable and practical in the future, while oil and gas burning remains rather ecologically primitive and clearly limited in supply. Extremely viable for remote areas - Unlike fossil fuel sources, solar power is very practical for remote areas. The cost to install solar power in areas such as this would be far less than the cost to run power lines. Benbell Solar offer a wide variety of Solar Plants of various capacities to suit independent houses , housing societies , small businesses , hospitals,hotels,schools,institutions and large industries. Solar panels collect clean renewable energy in the form of sunlight and convert that light into electricity which can then be used to provide power for electrical loads. 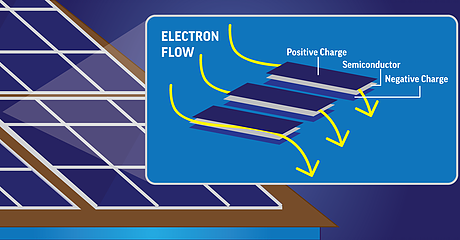 Solar panels are comprised of several individual solar cells which are themselves composed of layers of silicon, phosphorous (which provides the negative charge), and boron (which provides the positive charge). 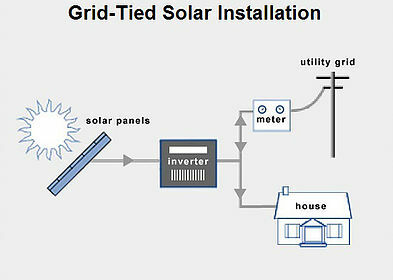 A grid inter-tied solar power system is directly connected to the home and to the traditional electric utility grid. 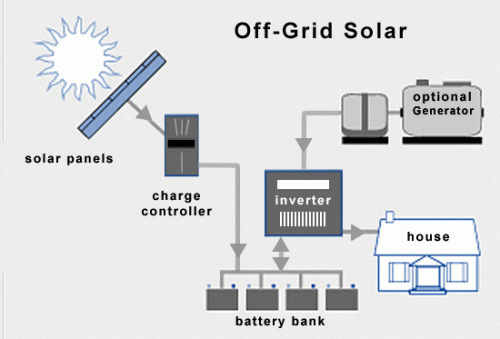 Grid inter-tied systems allow the homeowners to get power from either the home electric system or the utility grid. Switching between the residential system and the grid is seamless. 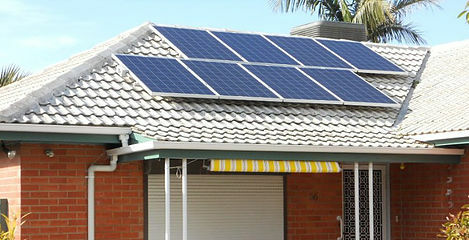 The prime advantage of this type of system is the ability to balance the system production and home power requirements. When a grid inter-tied system is producing more power than the home is consuming, the excess can be sold back to the utility in a practice known as net metering. 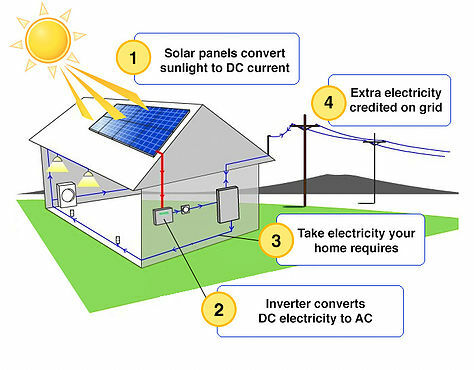 When the system is not producing sufficient power, the home can draw power from the utility grid. 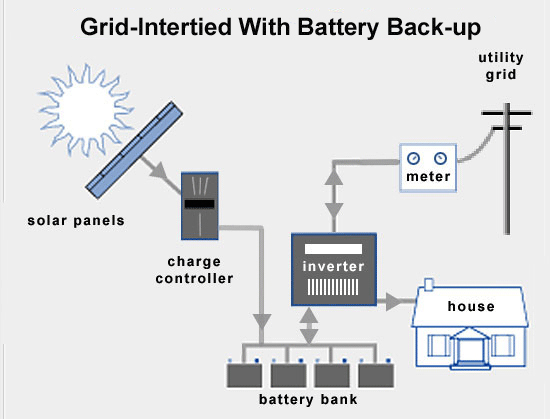 A grid inter-tied solar power system is also connected to the traditional utility power grid and adds battery-backup to the system. The addition of a battery backup enables the system to balance production and demand and protects against power outages. 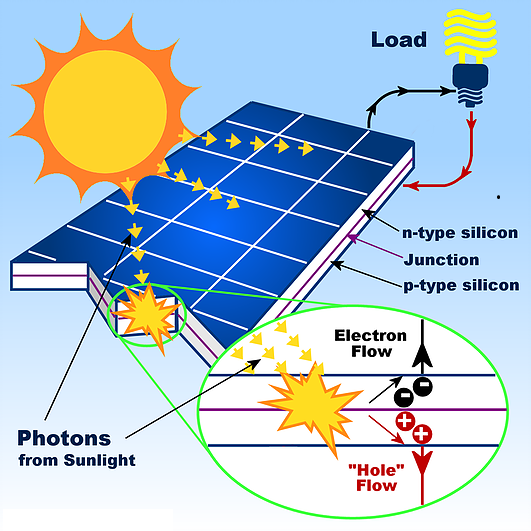 Solar electric system production depends on the available sunlight. When sunlight is abundant, production can exceed demand. When production exceeds demand, the excess power can charge the batteries, which store the electricity. When the system is producing less electricity than demanded by the home, the batteries can make up the shortfall. Grid Inter-tied systems are also connected to the utility power grid. This enables the homeowners to draw from the grid during periods of excess demand and to sell power to the grid when there is excess production. An off-grid residential system is completely disconnected from the traditional electric power grid. Without a connection to the utility grid, batteries are essential to balance periods of excess production and excess demand. To protect against shortfalls of power when the solar system is under-producing and the batteries are discharged, an electric generator is usually added to the system. The generator is used as a power source during periods of prolonged excess production or unusual demand. 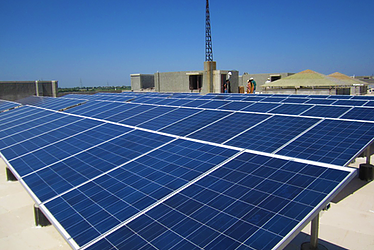 Benbell Solar engineers have extensive experience in designing Solar PV Plants for any type of roofs whether sheet or flat type,ground installations, parking areas and special applications like on canals , uneven terrain or any other available spaces. 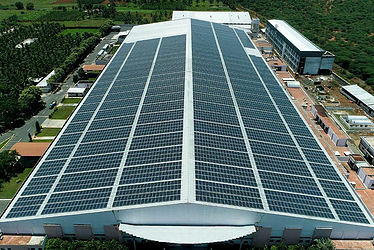 Customized designing is done to optimise available space and maximise power generation. Experienced Technicians from our team armed with extensive experience in installations of Solar PV Plants are engaged in installations to ensure a perfect installation both in terms of stability,durability and power generation efficiency with utmost care and safety precautions. Quality plays the most significant and important part of our business. 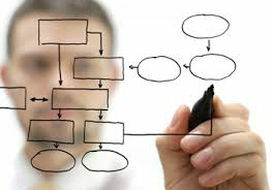 We ensure zero compromise on quality standards at any point of time. Our Feild Specialists ensure quality On Site Visits keeping in consideration various aspects of solar plant like shading,direction,tilt and structural design. Also utmost care has been taken to provide the best of solar plant components like solar panels,inverters,module mounting structures,cables,batteries and even basic electricals like meters,distribution boards,monitoring systems etc. 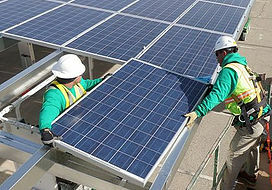 At Benbell Solar, we fully understand that good customer service is not only essential but it is mandatory to keep the wheels of business running and try our level best to to be prompt and sensitive towards attending cusromers service request by providing them with consistent good service. Our Customer Specialists are continously in touch with all existing customers to ensure that all our plants are in good working order and are performing well and without any disruptions.